Does Probation Allow Medical Marijuana? Probation is a means by which the courts try to hold you accountable for your crime without having you taking up jail space or other resources. While you have the leisure of being free from jail, you are still under many restrictions, and by agreeing to be on probation you sign away many of your rights. Abstaining from drugs and alcohol is often one of the terms of probation, and you risk a probation violation and potentially new charges if you test positive. Generally, if you test positive for a prescription drug like Oxycodone (Vicodin) but you have a valid doctor’s prescription, you will not be violated. Medical marijuana, however, is treated differently. In most counties in California, a doctor’s recommendation for medical marijuana is not enough to avoid a probation violation. In these counties, you must ask the court to authorize the use of medical marijuana, either by putting the matter on the court’s calendar for a brief hearing or by filing a formal motion to modify the terms of your probation. The Probation Department does not have discretion to allow you to use medical marijuana, however, your probation officer might assist you with putting the matter on the court’s calendar. If not, ask a competent defense attorney. If you are facing a probation violation for medical marijuana, it may make a difference whether your initial, underlying offense was related to marijuana or other drug use. In the case People v. Tilehkooh (2003), the California Court of Appeal struck down a probation violation for misdemeanor possession of marijuana and eliminated the condition that the defendant abstain from marijuana because the his initial offense was not drug related. The court stated that because his initial offense was not drug related, prohibiting the use of medical marijuana served no rehabilitative purpose. However, if restricting marijuana is reasonably related to your original offense, the court is more likely to uphold the prohibition. An attorney familiar with this area of law can advise you as to your best course of action. (1) Any criminal defendant who is eligible to use marijuana pursuant to Section 11362.5 may request that the court confirm that he or she is allowed to use medical marijuana while he or she is on probation or released on bail. 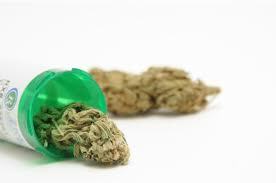 (3) During the period of probation or release on bail, if a physician recommends that the probationer or defendant use medical marijuana, the probationer or defendant may request a modification of the conditions of probation or bail to authorize the use of medical marijuana. Note: The use of the Internet, website, or the email link for communications with the Law Office of Thomas Greenberg does not establish an attorney-client relationship.